The most successful Raskasta Joulua tour so far is over now. 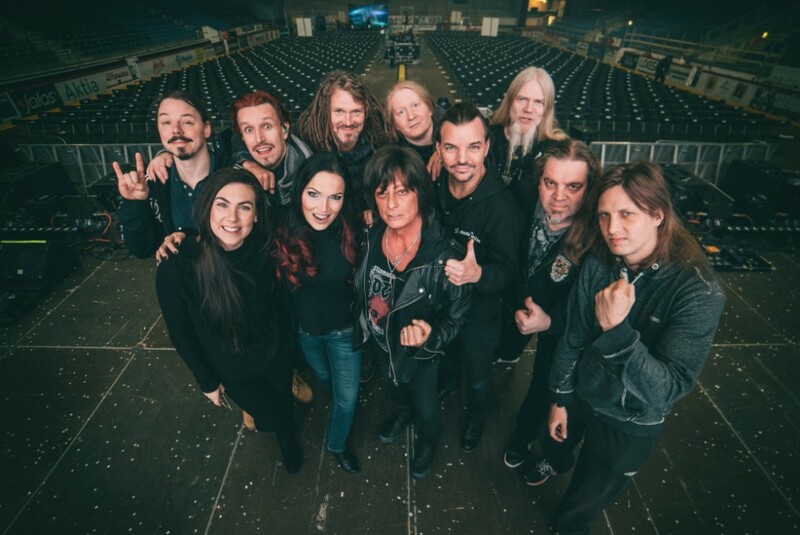 I would love to thank Elize Ryd, Joe Lynn Turner, Marco Hietala, Tony Kakko, Ville Tuomi, Kimmo Blom, Erkka Korhonen, Erkki Silvennoinen, Mirka Rantanen Tuomas Wäinölä, Vili Ollila and the RJ crew! This is the group photo we took after the soundcheck for the last concert in Vaasa. Unfortunately, this show had to be interrupted and I really wish a fast recovery for those that got injured in the accident. Thanks for all the audience, security and first aid staff for their help in this situation. It was wonderful to take part in these RJ shows and to perform in Finland again. Until the next time!! Happy Holidays!